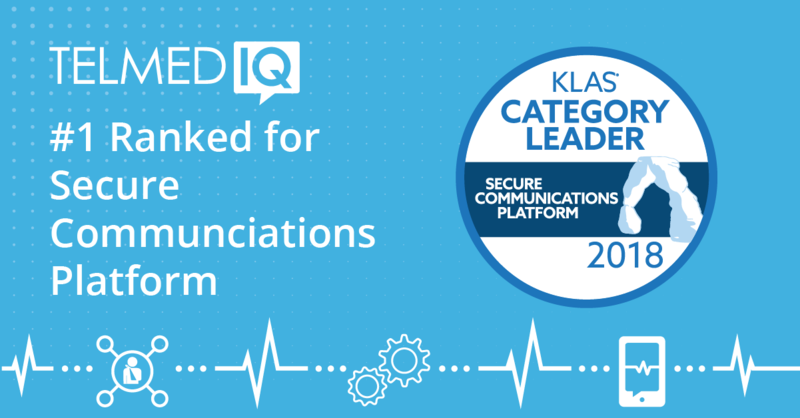 Seattle, WA — Healthcare communications company Telmediq has won the prestigious 2018 Category Leader award for Secure Communications Platforms from KLAS, a research and insights firm that gathers data and delivers reports on healthcare technology. The award is part of the “2018 Best in KLAS: Software and Services” report, which was released today. Every year, KLAS interviews thousands of healthcare professionals about the products and services their organizations use. The company shares the information online in real time so other providers can benefit from their peers’ experience. The “Best in KLAS” report reflects data compiled over the past year. Telmediq is a leader in healthcare communications solutions for large hospital systems and acute-care facilities. Telmediq provides a unified clinical communication platform that integrates more than 20 clinical systems (EHR, scheduling, call center, lab, nurse call) and helps match technology with the way people work. Telmediq provides an integration and consolidation roadmap to reduce software and support costs, improve workflows and provide a single source for analytics, auditing and reporting. Our clients reduce patient wait times, improve patient handover times and improve physicians’ work environment. ← Does Your Secure Messaging Solution Meet CMS' Requirements?